People enjoying terms such as the "counterfactual definiteness" have two main motivations. One of them is simply their desire to look smart even though almost all of them are intellectually mediocre folks, with the IQ close to 100. This category of people greatly overlaps with those who like to boast about their scores from IQ tests – or who struggle for 10 years to make a journal accept their crackpot paper, so that they can brag to be finally the best physicists in the world (I've never had a problem with my/our papers' getting published). The other is related but more specific: "counterfactual definiteness" was chosen to represent their prejudices that Nature obeys classical physics – which they believe and they're mentally unable to transcend this belief. If something is called "counterfactual definiteness", it must be right, mustn't it? The person who invented such a complicated phrase must have been smart, listeners are led to believe, so the property must be obeyed in Nature. Wouldn't it otherwise be a giant waste of time that someone invented the long phrase and wrote papers and books about it? Sorry, it's not obeyed, the awkward terminology cannot change anything about it, the people who enjoy using similar phrases have the IQ about 100 and they are simply not too smart, and indeed, all the time was wasted. He is correct that counterfactual definiteness is not obey in Nature, but I doubt that he is right about the term being invented to trick low-IQ ppl into falling for a false concept. Believing in counterfactual definiteness is like believing in Many-Worlds. It literally means that your counterfactual fantasies have some definite reality. Things that never happened can be discussed as if they did. Technically, nothing is really definite in Many-Worlds, so maybe it is not the best example. Newtonian mechanics is a better example of counterfactual definiteness. It is opposite the more conventional quantum mechanical view that "unperformed experiments have no results". You cannot analyze the double-slit experiment by assuming that particles definitely went thru one slit or the other. If you do, then you don't see an interference pattern. 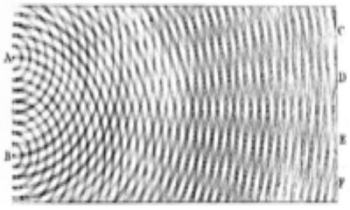 We see the interference pattern, so counterfactual definiteness is wrong. The essence of Bell's Theorem is that assuming counterfactual definiteness leads to conclusions that contradict quantum mechanics. The sensible conclusion is that counterfactual definiteness is wrong. There are some other possibilities, but they require rejecting more basic scientific principles. 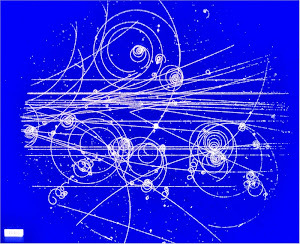 Thinking sensibly about counterfactuals is the key to understanding quantum mechanics. Many of the paradoxes that make it hard to understand quantum mechanics are based on attributing some faulty meaning to a counterfactual. Thus, imagining something does not qualify it as an actual occurrence, measurement, or data. Who knew? It seems ironically surreal that our civilization is allowing science to fall into the phantasmagorical nihilist goo of postmodernism. Pretty soon the words fiction and non-fiction will by synonymous. It's funny both Roger and Lubos like to ignore what actually happens, which is nonseparability.